Tonic Design, a multi-award-winning architectural firm based in Raleigh, NC, has qualified to provide architecture services to the Wake County Public School System, the largest school district in North Carolina, under the WCPSS’s Master Professional Services Agreements. Tonic Design is currently working on a “Maker Space,” a new building for an existing private elementary school. The school’s administration wants to expand pedagogical opportunities through long-term projects and new technologies. Inspired by their mission, the partners have based the building’s form on sustainable design strategies. A large roof, for example, will define adaptable volumes of interior space and will let the students witness the sun tracking through the building during the school day. Tonic Design is a multi-award-winning architecture firm located in Raleigh, NC. Among many accolades throughout their careers, principals Katherine Hogan, AIA, and Vincent Petrarca received the 2017 Kamphoefner Prize for Modern Architecture, one of the highest honors for practicing architects in the state. In 2013, they were named “Rising Stars” by Residential Architect magazine. Their projects have been featured in a host of national publications, including Architectural Record, Residential Architect, Dwell, Custom Homes, Inform magazine, and Metal Architecture, and locally in the News & Observer, Walter magazine, and Urban Home. For more information: www.tonic-design.com. A networking event for fans of Modernist design. 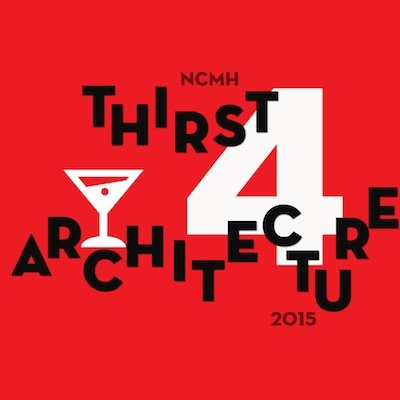 The Ambiente Collection, a showroom of contemporary and modernist furniture in Raleigh, will host the “Thirst4Architecture,” a networking event sponsored by North Carolina Modernist Houses (NCMH) and Emilie Huin/501 Realty, on Friday, February 27, from 6-8 p.m.
Free and open to the public, T4A events are opportunities for architects, artists, building managers, contractors, engineers, furniture dealers, realtors, and anyone else interested in Modernist residential design to connect and create strategic alliances in a casual environment. The hosts provide refreshments and other entertainment while introducing T4A participants to their businesses. Ambiente started as a Scandinavian furniture store 30 years ago. Today, the store represents contemporary and modern furniture from over 200 manufacturers from around the world. The Ambiente Collection is located at 10700 World Trade Boulevard off I-40 West in Raleigh (919.572.2870). For directions, visit www.ambientefurniture.com. Based on business success, design quality, and commitment to sustainability. Frank Harmon Architect PA, a multi-award-winning firm based in downtown Raleigh, North Carolina, is included in Architect magazine’s 2014 Top 50 firms in the nation. Harmon’s firm ranks fifteenth in the professional journal’s sustainability category. Frank Harmon, FAIA, is a leader in modern, sustainable, and regionally appropriate architecture. A few of his firm’s recent projects, all of which are based on the principles of sustainable design and construction, include: First Presbyterian Church and the AIA NC Center for Architecture and Design in Raleigh; NC Botanical Garden Visitors’ Education Center, North Carolina State Construction’s first LEED Platinum building; a residential mountain retreat in the North Carolina’s Uwharri Mountains; STARworks Center for Creative Enterprise in Star, NC; the United Therapeutics Field House in Research Triangle Park, NC; and the Oyster Research Shellfish Hatchery in Wilmington, NC. Frank Harmon, FAIA, is principal of the multi-award-winning firm Frank Harmon Architect PA in Raleigh, NC. 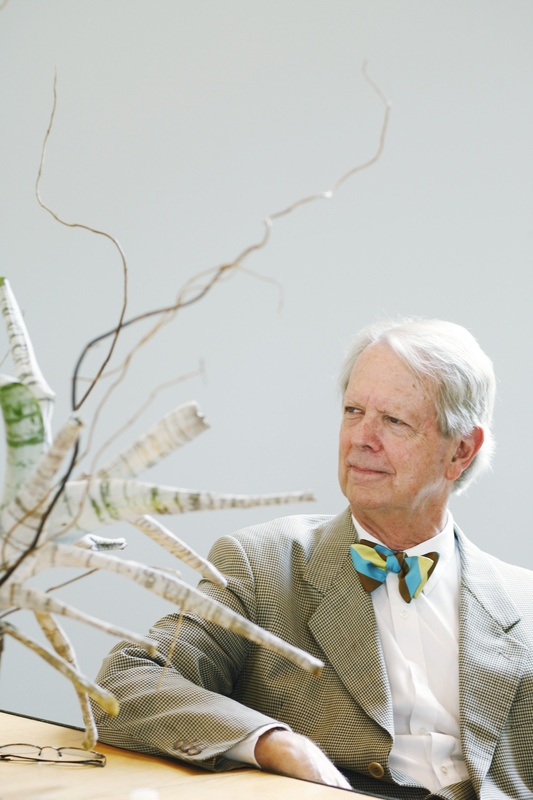 He is also a Professor in Practice at NC State University’s College of Design and the 2013 winner of AIA North Carolina’s F. Carter Williams Gold Medal, the highest honor presented by the Chapter to an AIA NC member to recognize a distinguished career and extraordinary accomplishments as an architect. His firm is nationally acclaimed for its modern, sustainable, regionally appropriate designs, especially its environmental education centers. Frank Harmon is also the author and illustrator for “Native Places,” a blog in which he uses hand-drawn sketches and mini-essays to examine the relationship between nature and built structures. For more information: www.frankharmon.com. Contact information: frank@frankharmon.com; 919.829.9464; 14 East Peace Street, Raleigh, NC 27604. Based on key performance indicators, such as innovation, diversity, and eco-friendly productivity. 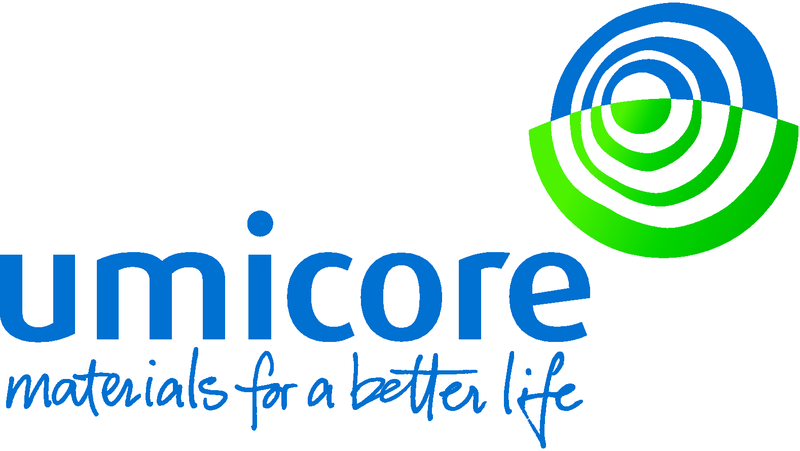 January 26, 2012 (Raleigh, NC) — Umicore, a global materials technology group and the parent company of Umicore Building Products USA in Raleigh, NC, has been included once again in the top 10 of the world’s most sustainable companies. Corporate Knights, an independent magazine focused on promoting sustainable development, published the rankings this week. The “Global 100 Most Sustainable Companies” ranking is based on key performance indicators such as innovation, diversity, and productivity related to a set of environmental factors. Ranked eighth out of 100, Umicore was praised for the significant role the company plays in the metal recycling chain and the development of materials for clean energy applications. This accolade follows Umicore’s recent inclusion in the innovative Living Planet Green Tech Index launched by WWF, the Living Planet Fund Management Company, and Chevreux. Umicore is also a long-standing component of the FTSE4Good index, which measures performance of companies that meet globally recognized corporate responsibility standards. “It is great to be involved with a company that takes a strong stance on sustainability, as well as representing an architectural product that contributes to that equation,” said Daniel Nicely, market development director for Umicore Building Products USA, the manufacturer of VMZINC® architectural zinc. For more information on Umicore’s sustainability strategies and practices, visit www.umicore.com/sustainability. For more information on Umicore Building Products, visit www.vmzinc-us.com. Umicore is a global materials technology group. It focuses on application areas where its expertise in materials science, chemistry and metallurgy makes a real difference. Its activities are centered on four business areas: Catalysis, Energy Materials, Performance Materials, and Recycling. Each business area is divided into market-focused business units offering materials and solutions that are at the cutting edge of new technological developments and essential to everyday life. For more information: www.umicore.com. Umicore is a world-leading producer of VMZINC® architectural zinc. For over 160 years, Umicore has been providing innovative solutions for building owners, architects, and contractors. Umicore has offices and representatives all over the world. In the United States, Umicore Building Products USA, Inc., is based in Raleigh, North Carolina. For additional information: www.vmzinc-us.com. Rick Ingersoll urges support for entrepreneurs in developing nations. February 8, 2011 (HILTON HEAD, SC) – Rick Ingersoll, author of The Frugal Travel Guy blog and The Frugal Travel Guy Handbook, is advocating support for Kiva.org, an online lending platform that allows individuals to make loans of any size to help alleviate poverty in developing nations. Ingersoll supports Kiva.org through his membership in the FlyerTalk.com Lending Team. FlyerTalk is a large community forum for frequent-flier travelers. The administrators of the site organized its Lending Team for Kiva.org in 2009 and Ingersoll joined the team as part of his commitment to help others. As a member of the FlyerTalk Lending Team, Ingersoll makes zero-percent interest loans to entrepreneurs in developing countries “to give them the opportunity to improve the quality of their lives and those of their families,” he said. Kiva.org works with local NGOs (non-governmental organizations) who screen needy applicants who want to start or expand their small businesses to ensure their families’ survival. Lenders like Ingersoll can loan as little as $25 or as much as they want. 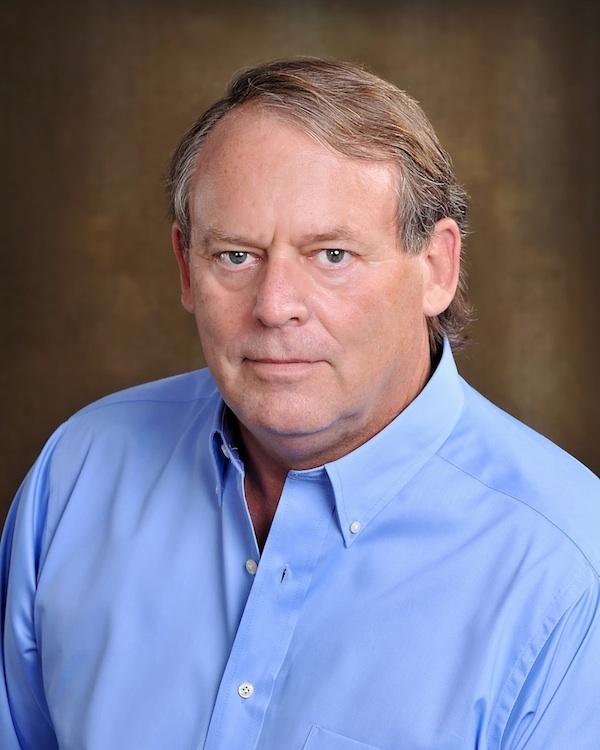 Rick Ingersoll also announced recently that he is donating all proceeds from sales of The Frugal Travel Guy Handbook to the Wounded Warriors Project until further notice. For more information on Ingersoll, visit his blog, The Frugal Travel Guy. Rick Ingersoll, author of The Frugal Travel Guy Blog and The Frugal Travel Guy Handbook, is constantly on the lookout for the best credit card and debit card sign-up bonuses. He posts travel tips daily on debit and credit card deals and on other interesting promotions with the goal of reducing his readers’ travel costs today and for the rest of their lives. He is also available for seminars and speaking engagements. A retired mortgage banker, Ingersoll and his wife live in Hilton Head Island, SC, and Traverse City, MI, when they’re not traveling the globe.